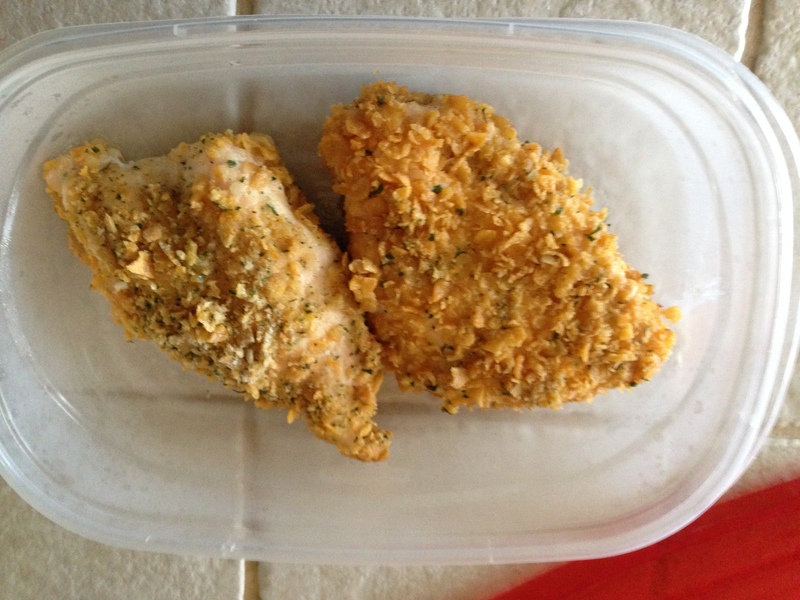 Ranch Chicken — A great, easy, tasty, go to recipe that I use often and you should too. I have no idea where I got this recipe. I’d love to give credit where credit is due, but I really have no idea where I got it from. 2. Mix dry ingredients together and place on a plate. 3. Dip chicken in butter and then dry ingredients. You can drizzle the rest of the butter over the chicken breasts if you’d like. It’s yummy! 4. Place on parchment paper in a 9×13 glass baking dish. Bake at 330 degree oven for 20-40 minutes or until juices of chicken run clear. If you keep 1 box of corn flakes, the cheese and a packet of ranch mix on hand, you’ve got yourself an easy dinner! Looks yummy-I’ll try it this next week. Thanks for sharing.